I just a little obsessed with emoji. @MrsSlinky Trust me, it's been awkward the last 13 years! @dita_teti iyaa cyinn..sae kok papi kah? 09 Nov 11 copy & paste +upvote -downvote @dita_teti iyaa cyinn..sae kok  papi kah? Yayyy getting something to eat on Tay!!!! RT if you have Emoji. 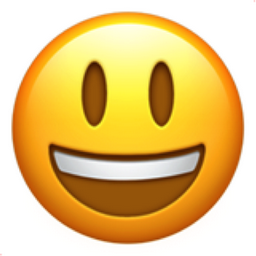 Like Smiling Face with Open Mouth Chronological Emojitweets 54?